22, of Norway, Maine; assigned the 1st Battalion, 506th Infantry, 4th Brigade Combat Team, 101st Airborne Division (Air Assault), Fort Campbell, Ky; killed March 13 when he came under small arms fire and an improvised explosive device detonated during combat operations near Ramadi, Iraq. Also killed was Staff Sgt. Marco A. Silva. 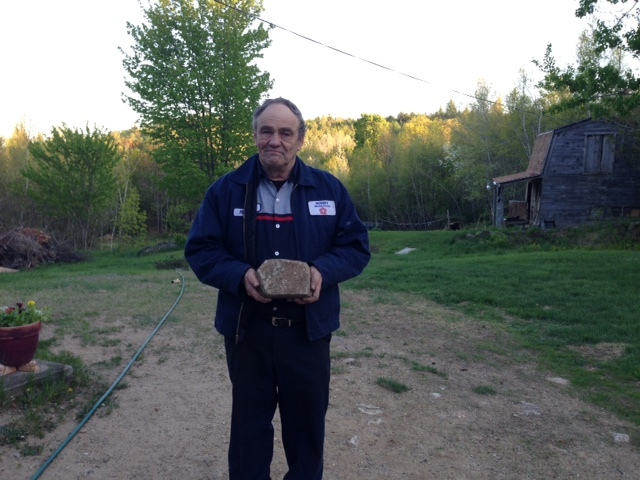 Corey’s father, Ritchie, selected this stone from a perennial garden where Corey would spend time outdoors. Ritchie has a great story about a time when he and Corey went hunting and had been waiting all day for the perfect shot. Finally, a large buck comes into view and is within range. Ritchie raises his weapon, clicks the weapon from safe to fire, and instead, Corey says to his father. DON’T SHOOT, Corey stood up, and walked away, alerting the deer and leaving the scene. Corey’s mom selected this stone from a short trail on the land where Corey grew up that lead to Corey’s final resting place. Wanda invited many friends and family to gather for Corey’s funeral and burial and asked them each to bring with them memorial stone to place on a pathway to the grave. Wanda selected this stone from that path which symbolizes the love the Corey had for so many and the love that so many had for him. Corey loved the outdoors and leading others. When he returned home to Norway on military leave he quickly mobilized his friends and conducting “law enforcement boot camp” teaching his younger friends all that he had learned in the service. From tactics, to face paint, from physical fitness drills to moving with stealth, his friends looked forward to Corey’s return so they could always learn something new. Corey adopted much of his affinity for military service from his dad, a Vietnam veteran and great example of service and sacrifice. Ritchie stated that Corey wanted to follow dad and insisted that mom sign the papers in needed Wanda’s signature for Corey to join the service was almost required, but Corey turned 18 years of age on Aug 4 and just four days later, on Aug 4, 2001, he shipped off to Ft. Benning – already proving his manhood by volunteering for service in the military and his willingness to go in harm’s way. Although Corey loved the outdoors, getting dirty, camping, fishing and exploring, his parents, Wanda and Ritchie, saw a different side of their son when they were surprised to learn he had a primary part in a school play. His parents were in complete disbelief, even shock, to learn that Corey had been practicing, rehearsing and mastering a key role in A Midsummer Night’s Dream. He told his parents he was stage crew, but on the night of the show, Corey performed brilliantly and to their complete surprise and personal pride and enjoyment. Corey was NOT known for his ability to safely operate a motor vehicle. He did not want to take Driver’s Education and he insisted that he would not need a driver’s license to get around his base. Wanda was very much aware of Corey’s difficulties behind the wheel and kept the keys away from her son on almost every occasion. There was one exception however. Corey was home on leave, age 19, again with no formal driving training, let alone a license to operate, but he demanded, he insisted in fact, that he MUST take his mother’s car to chauffer his brother Tristan, age 6, to the market Square for breakfast. This mission was very important to Corey. Wanda relented, gave her keys to the car, and instructed Corey “if something happens, you better RUN!” After breakfast the brothers made it safely to their grandmother, Mimi’s house and laughed about their adventure. Another very interesting side of Corey was his absolute LOVE for animals, particularly his horse, Sasha. He spent hours with Sasha, grooming her, petting her and exchanging love that is only possible between a committed master and beautiful animal. Corey must also be remembered for his chivalry, gentleness and generosity. Corey made friends with a young lady at his school that was a year older. This friend, Lisa, suffered from a concussion on the basketball court and suffered from dizzy spells and shaky balance. Corey saw Lisa in need and for several months he personally escorted her to class, walking her from door to door and from locker to the bus until she was fully recovered. Corey was giving, kind, generous and so thoughtful. His loyalty was unmatched. Corey took this same quality into combat where he took his love for others and became fast friends with Iraqi boys whose land, government and community were in such turmoil. Corey treated them like his own family. He would play, wrestle and roughhouse with the buys making them feel loved and important. When Corey received a care package from his family and friends, Corey was often found giving big bags of candy to the boys. He was a kid at heart, playing and sharing and giving what he had to others. He had a heart of generosity and love. Corey’s favorite food was surf and turf; his favorite drink was Moxie and he loved spaghetti sauce. He had a funny sense of humor and isremembered for mixing cake batter with a power drill. He loved to throw elbows to tease the people he loved and he earned the affectionate nickname Bubba for his kindhearted and loving nature. On 6/5-6/6, Corey’s stone was carried on the Portland GORUCK Challenge. There were 23 men and women participating and we all carried the stones of Corey and 7 other fallen Maine service members. The GORUCK Challenge is a military style team building and endurance event, led by current or former special operations Veterans. Our leader, or Cadre as we called him, was Daniel. Daniel, like Corey, spent his time in the Army in the 101st. Airborne Division. During these events the participants choose a team weight to carry throughout. Someone knew about The Summit Project and suggested that we use stones for our team weight. We all thought this was a great idea, and I chose Corey to be the soldier I would represent. It was such an honor to represent Corey by sharing his story with my teammates. After I learned what a great guy he was, it also became a powerful responsibility to me. During these events, we do many tasks that are physically demanding and absolutely require teamwork to accomplish. Participants are pushed to their limits of endurance by the 12-14 hr length of the event as well as by weather conditions and the fact that the event begins in the evening and continues through the following day with little rest. When I read about Corey, I thought he would be the perfect teammate to have along on one of these events. It’s no coincidence that the qualities we practice are also qualities that make great soldiers. We talk a lot about never quitting, even when you think you can’t go on. Equally important is the mission to do it all with a smile. I have never had the honor of serving in the armed forces, but I have often heard veterans talk about how one of the most valued characteristics they look for in fellow soldiers is a great sense of humor. I know Corey had that from every single thing I have read about him. I thought about this often during our event and tried to crack jokes whenever possible. Another phrase we use is “It could always be worse”. Whenever things get tough I think about what Corey volunteered for and what you, his family have sacrificed. It really puts things in perspective, and makes me realize that things which seem hard, really aren’t that bad. I think Corey would have really enjoyed doing a GORUCK Challenge. Our Challenges are also designed to push us outside our comfort zones, which believe me, if you know the kind of crazies that enjoy this kind of thing, takes quite a bit! I mean that with love of course! Anyway, when I read about Corey, it made me very sad to think about how much his family and our world lost when he was killed. We hear about the deaths of soldiers in Iraq and Afghanistan so frequently that we can become numb to it, if you don’t have a connection to the individual soldier. I realize now how important it is to remember these soldiers not just as a name on a plaque, but as a real person with a son, a brother, parents, and hopes and dreams. Only by doing so can we remember the real cost of war. When we took time during our event to talk about each Summit Project Honoree, Cadre Daniel spoke about his recent experience with one of the Summit Project’s families. He said that, being a veteran, he had been to a lot of memorials. What made TSP outstanding for him was the joy he witnessed and felt as family and friends told stories and laughed about the good times they’d lived with their fallen loved one. This was a good lesson for me that, in spite of the tragic loss, the joy these heroes brought to others should be kept alive and strong. So thank you for giving me the opportunity to get to know a bit about Corey through the Summit Project. I will never forget him even though we have never met. May you and your family have much peace and joy. It was an honor to carry the stone for Sgt Corey Dan as part of a Summit Project trek yesterday 22 June. Ten members of the Army Cadets of America carried stones through the City of Portland, hiking from the Eastern Promenade to the Western Promenade and climbing the Portland Observatory and Franklin Towers (16 stories) as “summit” climbs. Corey would be pleased to know that the Oxford Hills were visible on the horizon to the northwest and the sea to the east and south…a fitting testament to someone who loved “surf and turf”. One of the reasons I selected Corey was as a young kid I would spend time in the Oxford Hills region with my grandmother and aunt. Living in the city and on the coast I was fascinated by the hills, the farms, the animals…the way the clouds would cast shadows on the mountains like a moving conveyer belt or how bright the stars were at night. Corey and I no doubt looked up the same hills…the same rivers (SnowFalls? ), the same country roads…and I am sure we shared the same wonder and appreciation. From what I read about Corey he was an honorable young man. Working with Army cadets (ages 11-17) it was fitting to share how Corey treated all with dignity and respect. Many of these cadets can be all “HOOAH” and would have LOVED the opportunity to play law enforcement boot camp with Corey when he returned home. However, these cadets also need to learn that being a quality soldier…a quality human being…is the value of selfless service which Corey demonstrated so well not only serving his country but for his service to others, be it in high school when he assisted a fellow student, sharing his rations with Iraqi children, spending his time by taking his brother to breakfast, or by devoting his love to his horse Sasha. I cried when I told the cadets about the stone being one taken from the pathway leading to Corey’s resting place… how the missing stone represented Corey’s love for others and the love they had for him. For a moment I felt that deep seated ache that you all dealt with…deal with…as time tries to heal and even now the tears are welling up in my eyes. Ten young Army cadets heard of Corey’s legacy yesterday. Ten young cadets heard about a wonderful young man who made a difference in so many ways. Rest assured that a part of Corey lives on in each of these cadets who will, one day in some form, share with others his legacy of dedication, loyalty, and his love for others and his country. And Robin shall restore amends..
All will one day be mended. All these shadows will one day disappear. Be well…and thank you for sharing your son. Thank u so much for carring on his memory. This was beautiful. He was an amazing man. I love him dearly. I only hope his son Austin grows into half the man Corey was. Austin is in h is way to Maine now with his grandmother. I am going to share this with him when he gets home. Again thank u for this. My name is Steve Duffy and we have never met. I live in Fairfield, Maine and have a wife and two daughters ages 6 and 8. I got involved with TSP through a GoRuck event on June 6 in which our team carried Corey’s stone for 6 hours while going through a series of physical and mental challenges. I was asked to carry a stone for a fallen soldier and it was then that I read and learned about Sgt. Corey Dan. He seems like a person I would have been grateful to count as a friend, so I said a few words to remember and honor his and your sacrifice. I was never in the military since early legal trouble complicated the recruiting process when I was 18. It wasn’t until I began participating in these events that I began to understand (in a small way) some of the physical, mental, and spiritual challenges those in public service face. Every family faces challenges but I understand that yours has made the ultimate sacrifice. The only connection I have personally with the military was when my father served as a civilian in Operation Desert Storm working with Eastern Airlines. He left for a few months and returned safely. It must have been infinitely more stressful having a son on the ground in Iraq in the heart of Operation Iraqi Freedom. I was intrigued when reading about Corey’s generosity with the local children in Iraq. Sharing his care packages and spending time with the kids in communities shows what a big heart he had. Giving of himself and playing with kids while in the midst of infinite stress shows also what a unique and caring soldier he was. We had a ceremony during the Goruck event honoring fallen soldiers and we spoke for a few moments about each soldier whose stone we carried. During these Goruck events, it brings to our awareness the pain and struggles our soldiers endure. We may sign up for 6, 12, or 24 hours of pain and struggle but we have all the comforts of home when it’s over. Soldiers such as Sgt. Corey Dan have to endure what must seem to be an unending amount of discomfort and struggle, challenging them physically, mentally, and spiritually. I am humbled and honored to have been a part of honoring this young man who was so brave to go to an unknown land to fight for the freedom of his brothers and sisters back home. Thank you for sharing Corey’s stone and participating in TSP so civilians like me can play some part in honoring those who have given all and I hope you can rest a little better knowing his memory is alive and well. Just want to say thank you for honoring him. He was a great kid. I knew him well. We went to school together and he is missed by so many. He will never be forgotten. Many thanks…you were fortunate to have had such a good friend. I was honored this weekend to carry Sgt. Dan’s stone during the Run for the Fallen in Brunswick, this past weekend. To his parents, let me thank you again for raising a young man that would serve his country and I thank you and your entire family for their service to America. God bless you. I had the honor of carrying SGT. Corey Dan’s stone with me on the hike up Cadillac Mountain. Corey and I served together in the 101st airborne division (Air assault), and shared a unique connection by having grown up half an hour away from each other in western Maine. During certain points of my hike, it was almost easy to forget I was carrying a stone in my bag, whether I was getting caught up in the scenery, or conversation with other hikers. That never changed the fact that the weight was still there. I think we all carry some kind of weight with us, unfortunately some more than others. We may get lost in our day to day lives, but that weight never goes away and is never truly forgotten. We have to talk about these things we carry with us, bring them out in the open, and in special cases like Corey, pay our respects and honor the memory of those who gave their all. Corey carried more than his share and then some when it was time to serve, the least I could do is carry some for him to help ensure his memory lives on. This project has been very eye opening for me. It allowed me to think deeply on the material and people that we were learning about. How such an impact the loss of someone can have on not only a family, but a community as well. Climbing up the mountain was hard to do, especially in the cold, but experiencing a small sacrifice really helped me put into perspective what kind ultimate sacrifice Corey gave to his country was like. Corey Dan passed away at the young age of 22. He was killed when an improvised explosion device went off during combat operations. Corey is remembered for his love for animals. There is actually a story where his father took him out hunting, and after staying in the field for hours, they finally saw a huge buck, and before his father could take the shot, Corey stopped him. This can really say a lot about a his personality, how he is compassionate, considerate, and generous. It’s people like Corey Dan that make this country so great. Being able to not only commit yourself the the military, but to also sacrifice your life to give me the freedom that myself and every other citizens have. Corey was loved by his family very much. To be able to carry what he is remembered by was very impactful. It was like carrying a piece of him up the mountain. Knowing how much this means to the his family really is inspiring to not only commit to something like this, but to be more considerate of what our soldiers go through. I was honored of carrying the rock of Army Sgt. Corey A. Dan. While I was carrying the rock I was thinking of all the sacrifices he made for me and this country. There is nothing I could do to thank him enough. The fact that I had something so special to the family in my hands made me feel so honored to be participating in this project. Corey A Dan was killed by an improvised explosive device(IED) on March 13th 2006. Corey’s stone was taken from a perennial garden where he loved to spend time. Corey was a loving person and it showed through the story his loved ones told. The story of the time when he spent his whole day outside with his dad, waiting for the perfect deer but when they saw it, he told his dad not to shoot. This story shows a lot about Corey and his personality. Corey always wanted to help others as much as he could which is shown in the story his mother shared about how on his free time he helped his friends in a “law enforcement boot camp”. This project and Corey showed me a lot about my life. When I complain about the littlest stuff, I should take a minute and realize the struggles of others. Everybody should follow their dream and this was Corey’s dream. Corey died doing what he loved to do which was fighting for us. I will always honor and appreciate what he did for me and his country. To be quite honest, as a 16 year old teenager, I’ve never put any real thought into what I’ve wanted to be as an adult. I knew I wanted to do something rewarding, something that helps others and most importantly, something enjoyable. Recently, I’ve been looking into a career within our country’s military. The field trip to the top of Bradbury mountain couldn’t have came at a better time. As the groups ascended the mountain, I kept re-running the kind words mentioned about Sgt. Corey A Dan on The Summit Project’s website. Why would someone so strong, so caring, so unbelievably outgoing be taken from the world? I took a deep breath, loving the crisp, fresh air, and looked at the beautiful Maine scenery at the top of the mountain. The answer hit me like a ton of bricks. Corey wasn’t taken. Corey gave himself. He gave his life so that I could breathe that fresh air, so that I may observe the beautiful Maine scenery, so that I could be free. Though I did not know Corey, his action of giving his life for others tells me a story that words could never express. You were a beautiful human being, Corey. I salute you. Thank you Brother for you sacrifice. Peaceful rest SGT COREY A DAN. My prayers for you and for your family , unit, and friends. It was an honor for me to carry Corey’s stone up the mountain. The Summit Project is doing a great thing by giving many students the opportunity to honor our fallen soldiers. Having the stories and comments on the website creates a better connection so that when I carried up the rock, I was thinking about Corey’s life and knew about him. Hearing all of the stories at the summit made me understand more about current soldiers because I don’t personally know any soldiers from this generation. It was an eye opening experience for me. It means a lot to me that Corey gave his life so that his country and the ones he loved could stay safe. Corey was young but had a great amount of courage. The stories were touching about his love for his family. The story about him taking Tristan to Market Square shows me that he was a very caring person. Corey’s stone came from a perennial garden chosen by his father. It is a great inclusion for the parents to go and choose the stones. Thank you for giving me the opportunity to carry your son’s stone to the summit. Holding the stone and the story of Army Sargent Corey A. Dan made me feel honored and lucky. Honored because I got to hold the stone of a fallen veteran. I felt lucky because it was a once in a lifetime opportunity. Again I feel honored and lucky to have been a part of this event. I woke early on October 1, 2016, not wanting to be late for my first event with The Summit Project, eager, excited and anxious. We traveled to Smuggler’s Den Campground in Southwest Harbor from our hotel in Tremont, the sky grey with clouds and a pinkish glow with the promise of sunrise in the east. It had rained overnight, but that weather had passed on, thankfully. At the campground, my hiking buddy Christina, my partner Bob and I entered the gigantic tent set up for The Summit Project. We were welcomed with coffee, breakfast foods and new friends. In the center of the camaraderie and laughter, were the tables filled with the stones of the Heroes. I was presented with the stone of Army Sgt. Corey Dan by my Team Leader, and I remember now feeling reverence as I accepted it. I so wanted to do this young man’s memory justice. The stone felt so heavy in my hands! allowing me to organize my thoughts. We loaded the buses; our Team Blackwood would disembark first. I was thankful for the funny story told by Dave Cote on the way. I helped ease my anxiety about the hike. We disembarked and crossed the road to the trailhead for the South Ridge Trail to the summit of Cadillac Mountain. We were finally on our way! The trail eased nicely through the woods. Our Team talked amongst ourselves with the normal introductions and chatter. I took time to reflect on the beauty around me and listen for movement off the trail. After a quick break, I found myself in front of the pack. Sgt. Dan was in my thoughts, so I called upon him with his nickname Bubba, asking for guidance for my reflections at the summit. In my heart and spirit I know he laughingly acknowledged me. I thought about how much he loved Maine, and as a hunter must have loved Autumn. I remembered reading from his tribute page a memory of one of his brothers from Iraq about the 125 degree heat. Tears filled my eyes as I thought about Sgt. Dan in that hostile, unforgiving environment, so far from his beloved home. However, that was such a small thing in reality, compared to his ultimate sacrifice. The stone in my pack began to feel much lighter. The trail began to open to views and became more rock than roots and forest floor. The lichen and moss on the larger rocks looked like an impressionist painter had applied them. Bright colors mixed with tones of green. I thought of Sgt. Dan doing sketches of his young son from photographs. My heart ached. The stone felt lighter. Soon the deciduous and tall evergreen trees gave way to short scrub pine and the trail was ledge and boulder. The team paused for a photo op of a scenic view encompassing the harbors below. The sun teased yellow patches against the grey of the ocean. Some hikers chose to move on ahead, and I followed behind alone, gathering my thoughts and appreciating the solitude. The trail markers became more challenging to follow, and I had to back-track a few steps to locate the path. I knew I was close enough to either group of my Team, so I had no worries. I was watching my footing over the terrain as it turned left and I almost walked into the American flag! Our Team’s flag holder was waiting for the rest and surprised me! I recall saying the “Flag was like a beacon on the trail. “ The Stars and Stripes! So striking against the blue-green of the pines and the grey of the rock and sky! And that’s when this entire experience came together for me. I was able to understand the reason Sgt. Dan risked his life. For the beacon that is the American flag. For Independence. For Democracy. For Fairness. For Equality. For All of Us. I had been challenged to understand Sgt Dan because I separated his military and personal lives. What I needed to do was appreciate him as both. The stone in my pack lifted me to the summit. Team Blackwood was the first to summit Cadillac Mountain. We enjoyed delicious treats from the Girl Scout Troop #667, who braved that windy day, and found a secluded spot to hold our circle. Family members of a fallen hero were in attendance. The tributes to the heroes began next to me and moved counter clockwise. I would be last to speak. Heartbreaking and inspiring stories were told of Fathers, Husbands, Mothers, Daughters, Sons, Bothers, Sisters, and Friends. Amazing, Brave, Personal stories were told. I am so proud to have been there. One of my Teammates also carried a stone of Army Sgt. Corey Dan. He spoke of his military connection to Sgt. Dan, having served in the same Battalion. It was wonderfully done. I confess I brought written notes! During my tribute I even mentioned that Sgt. Dan would appreciate my attention to detail, being a fellow Leo (his birthday is one day before mine). I spoke of his inspiration to others to complete high school, join the military, and be good soldiers. I spoke of his brothers that inked themselves in his memory. I spoke of Austin and the son who will never meet his father. I didn’t need or look at my notes. I don’t remember my exact words. I know they came from my heart and were honest. Thank you, family of Army Sgt. Corey A. Dan. Thank you for opening your hearts and sharing your wounds. He was an amazing young man. I am so proud to have learned his story. I promise I will be the better for it. During the moving ceremony at the Community Circle back at camp, I passed on his engraved Stone. But in my pack, was a small stone, a pebble really, found at my favorite place, Ferry Beach State Park. Everyday I look at that little stone that traveled to Southwest Harbor and the summit of Cadillac Mountain and then back to Saco and onto my dresser. Everyday I remember the story and sacrifice of the Soldier, Son, Brother, Father and Friend who is Sgt. Corey A. Dan. My name is Scott Carson and I am a sixth grade teacher at Marshwood Middle School in Eliot, Maine. Over the past few weeks the sixth grade students and teachers at our school participated in The Summit Project by learning about Corey and seven other honored and then completing the physical challenge of climbing Mt. Major with their stones. As I read about Corey, all I could think of was that he was a typical Maine kid. A young man I would have loved to have in my classroom. He loved the outdoors, loved his friends, and cherished time spent with his family. He was respectful to those around him and had a big heart. The attributes we as parents and teachers want to ingrain in our children. I especially liked his innovative way of making pancakes. I can just imagine walking in on the conversation as Corey and a friend are cooking. Ultimately, his decision to leave Norway to join the military exemplified his life. He recognized that at a time of crisis, his country and the world needed his valor, his leadership and his service. Service before self. For that we will always be in his debt. Please know that Corey’s story and his legacy were shared with many people as we climbed Mt. Major because each student had a card attached to their backpack that contained information the students learned about your son. The students did Corey proud. They respectfully shared what they learned about Corey with all they came across. Because we were telling Corey’s story on a beautiful October day in the mountains, it was even more meaningful to us and all who listened. In addition to telling his story, the 21 students in the Corey Dan hike group took on the responsibility of carrying the memorial stone you selected to the summit. For many of those students the hike wasn’t easy, especially with the added weight of Corey’s stone, but they recognized that challenge was small compared to the burden your family must now carry. Thanks to our student’s teamwork, Corey made it to the summit of Mt. Major and enjoyed the beautiful views of Mt. Winnipesaukee with us. Thank you for sharing Corey’s story with us. It is so very important for our students to understand that freedom is not free. There is a price that must be paid by the families and military members who make the decision to serve. A human price. A human price paid by a young man and his family from Norway, Maine. Please know that Corey will not be forgotten by the 6th grade students and teachers at Marshwood Middle Schools. Semper Memento. I am a sixth grade student at Marshwood Middle School in Eliot, Maine. On October 11th, my classmates and I honored the late veteran Corey Dan by carrying a memorial stone in his honor as we hiked Mt. Major on a field trip. Before climbing, we researched Corey’s life. In my research, I learned that Corey was a very nice man with a passion for sharing with people, he loved being outside, also camping and fishing with his horse, Sasha. Our stone that we used came from his last resting place at his home; he was in the army and served for 13 years until he was killed Ramadi, Iraq. It was interesting, learning about a man who sounded like a nice and good person. On the day of the hike, we attached a picture of Corey as well as a summary of his life on to our backpacks so we could keep him in mind throughout our day. Our group carried the stone to honor what he did in the military and to remember his sacrifice. We also carried the memorial stone the entire way up the mountain. My classmates and I managed to share this burden by switching several times within our group. We also did this with other groups. The other groups did the same thing we did, they carried the stone while swapping with each other, until meeting up with a different group and giving them the stone. As we climbed, we participated in group activities. Our group had a lot of while doing things like writing 3 words to describe us, making shapes with string but our eyes closed, charades with animals, and then we did a fun activity where we had to put a bottle on a board and lower it with strings. It was a whole lot of fun! At the summit, I saw two big mountains out in the distance, and it looked absolutely amazing! We saw trees, red and dark green, miles from where we were! There was a big lake with what looked like tiny islands! I was tired, but also felt like I was on top of the world. After we had lunch we took a picture of all of the students on the field trip with a big flag that we made, all the kids before the field trip had made a huge American flag with only our handprints, and a big sheet. As I reflect back on this experience, I feel proud of hiking Mount Major with Corey Dan’s stone. I also feel like I would do it again in a heartbeat. In conclusion, I feel like it was a lot of fun and some work, learning about whom Corey was, hiking up a mountain, doing all sorts of fun activities. I really enjoyed the Mount Major Project with Corey Dan’s stone. Before climbing, we researched Corey’s life. In my research, I learned that Corey like Moxie and spaghetti sauce. I also learned that he went hunting with his dad but when his father saw a large buck come into view Corey jumped up and yelled, “Stop” and stood up and walked away that made the buck run off. I also learned that he had a horse named Shasha he would brush her everyday. On the day of the hike, we attached a picture of Corey’s as well as a summary of his life on to our backpacks so we could keep him in mind throughout our day. We also carried the memorial stone the entire way up the mountain. We carried the stone down the mountain instead up. We carried the stone because it made us feel like we were carrying part of our brave soldier Corey Dan. Some of us in our group put the special stone in our backpacks. As we climbed, we participated in group activities. One of the group activities we did are we had a piece of squared shaped wood with a ton of different strings tied around it. Our job was to try to pick up a water bottle that is on the piece of wood. We could only hold one piece of string for each of us. At the top of the summit, we saw lots of trees and rocks. There were some other students from different schools. We heard birds singing their beautiful song. We also heard the wind blowing and the leaves falling off the trees and onto the ground. I felt amazing that I was climbing this tall mountain and I was doing it all for Corey Dan. The picture we took was at the top of the summit and some people in the front were holding their own soldiers stone and the flag was also in the picture. The way we transferred the stone from group to group was by giving the stone to person to person in our group. Then when most of the groups stop in the same place the group who had the stone would give it to the other group. As I reflect back on this experience, I feel that your son was a very funny and brave person and I was very grateful to be hiking in your son’s name. When we got to the top I was with my friends, and it was so fun and I felt like I accomplish something in my life. It was a very long trip and I felt like quitting but then I remembered how your son risked his life for us so then I pulled it together and went on. Before climbing, we researched Corey’s life. In my research, I learned that he was born in Norway, Maine, assigned to the 4th battalion, 506 infantry, 4th brigade combat team, 101st Airborne Division. He was killed an honorary death. He loved being outside camping and fishing and playing with his horse Sasha. He would play and share his food with local boys in Iraq. He as called Bubba for having a kind heart and a loving nature. And he mixed his cake batter with a drill, his favorite food was surf and turf spaghetti sauce and Moxie. On the day of the hike, we attached a picture of Corey as well as a summary of his life on to our backpacks so we could keep him in mind throughout our day. We also carried the memorial stone the entire way down the mountain as a way to honor him. As we climbed, we participated in group activities. So we did a group activity coming up about 5 things we think fits our personality the best. And then going down we did an activity where we had to balance a water bottle on a wooden board. And we had to hold it up with half centimeter strings it was fun. At the top of the summit, we first ate lunch then we took some really memorable pictures and made a flag that had all our handprints. As I reflect back on this experience, I feel like the hike really meant to me that I really give more credit to the people who died for us, thank you. I am a sixth grade student at Marshwood Middle School in Eliot, Maine. On October 11th, my classmates and I honored the late veteran Cory Dan by carrying a memorial stone in his honor as we hiked Mt. Major on a field trip. Before climbing, we researched Cory’s life. In my research, I learned that Cory Dan liked being outside and loved taking care of his horse Sasha, he was an animal lover too. Cory had a nickname too, which was Bubba. On the day of the hike, we attached a picture of Cory as well as a summary of his life on to our backpacks so we could keep him in mind throughout our day. We also carried the memorial stone the entire way up the mountain. We carried the stone up the mountain because it gave us an idea of what his final resting place was and respect of him and his family. We were carrying Cory’s stone and being very careful not to drop it while on our way up the mountain to show respect. As we climbed, we participated in group activities. Some group activities we did were shape making with a strand of skinny rope by positioning the rope in shapes carefully while closing our eyes. Another activity we did was by keeping a water bottle steady. One more activity we did was writing down five words to describe our personality. At the top of the summit, I felt very free and happy from the beautiful view I got to see, I had never climbed a mountain before so it was a treasure to explore it. I saw a lot of rivers, islands and trees. The picture we took I had realized it was something special so we can remember where we went and how fun our 6 white team had. The stone was also something to honor because I can understand that it was a stone to remind us of Cory’s final resting place, such as the last place he was, was outdoors. As I reflect back on this experience, I feel like our field trip to Mt. Major was a success and a memory to keep in mind. Before climbing, we researched Corey’s life. In my research, I learned that Corey was 22 and was born in Norway, Maine and that he loved the outdoors, camping, fishing, and exploring. I also learned that he had a horse named Sasha, his favorite food was surf and turf, his favorite drink was Moxie, and he was known for mixing cake batter with a power drill. If I were to pick a favorite fact I learned about him, it would be that he mixed cake batter with a power drill. On the day of the hike, we attached a picture of Corey as well as a summary of his life on to our backpacks so we could keep him in mind throughout our day. We also carried the memorial stone the entire way up the mountain. We carried the stone because our grade went on a trip for the summit project, and my group had Corey’s stone. As we climbed, we participated in group activities. Some of the activities we participated in were trying to flip and land a water bottle on a suspended wood panel and coming up with and singing a song about the day. At the top of the summit, I saw a clear and beautiful view of Lake Winnipesaukee, I felt tired, from the almost 2 hour hike, and happy that I was able to complete our task. After everyone finished lunch, we took a photo of all of use, the 4 stones, and an American flag we made from painted hand prints of everyone on our team. Once all of that was done, the group our group handed the stone to passed the stone to the final group, who would carry the stone the entire way down the mountain. As I reflect back on this experience, I feel proud that I was part of this project to pay respects to Sergeant Corey A. Dan, a truly kind and brave person. Before climbing, we researched Corey’s life. In my research, I learned that Corey was fond of nature, his horse, Moxie soda and when he was younger, he helped a kid in school. On the day of the hike, we attached a picture of Corey as well as a summary of his life on to our backpacks so we could keep him in mind throughout our day. We also carried the memorial stone the entire way up the mountain. We carried this memorial stone to honor Corey and remember him throughout the hike. 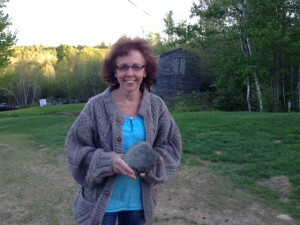 When I carried the stone, I was determined to try to carry the memorial stone to the summit. As we climbed, we participated in group activities. These activities included shape making, balance roping and character trait sharing. We also thought about what his life must’ve been like, like routines and thoughts he thought. At the summit, we observed the amazingly wide view, ate lunch, took a group photo with a flag we painted using handprints, and then made our way down. As I reflect back on this experience, I feel lots of empathy, because from the tag, it said Corey Dan was a friend to many. Before climbing, we researched Corey’s life. In my research, I learned that Corey could mix cake batter with a power drill, which I thought was a unique skill; he liked spaghetti sauce, Moxie, and surf and turf. He had a horse named Sasha, he loved the outdoors, animals hiking and fishing. He lived in Norway and was part of the Army. He was friendly to everyone and everyone liked him for his humor and personality. On the day of the hike, we attached a picture of Corey as well as a summary of his life on to our backpacks so we could keep him in mind throughout our day. We also carried the memorial stone the entire way up the mountain. We carried the stone because Veteran’s Day is coming up and to remember all those who have given their lives for protecting our country. Our group carried the stone down the mountain. We passed the stone off to other people in our group so that everyone would feel the burden of responsibility of carrying the stone and the determination of getting down the mountain with the stone. My favorite part of the hike was getting to the top of the summit, not just because of the view, but also because of the proud feeling of accomplishment that seemed to linger in the air. As we climbed, we participated in group activities. The first activity we did was trying to form a shape with string with our eyes closed. It took a team effort to do this and we all worked together to make sure that we had created the right shape with the string. The second activity that we did was writing down 5 things about our personality that would help us get up the mountain. I did responsible, helpful, animated, athletic, and hard working. Our last activity, was when we were coming down the mountain, was to get a water bottle to stay on a small wooden platform while we raised it off the ground with strings attached to the wooden platform. Our group stood in a circle and held onto one of the strings connected to the platform. We gently pulled on the strings, and slowly the water bottle was lifted up off the ground. This felt like we were so close to achieving lift off the ground, but it was hard to, just like it is leaving for war. At the top of the summit, we saw a pretty view of Lake Winnipesaukee and some other mountains close by. We ate lunch and took some pictures at the top with our hike group and some other people from other hike groups. Once we were finished with our lunch, the teachers took pictures of us standing on the summit with the lake in the background and the American flag that we had with us. Before we went hiking, we had created a flag with all our handprints on a large piece of white cloth with the Summit Project logo on it and held that up in the picture, too. As I reflect back on this experience, I feel that we did this not just to hike and be out of school, but also to honor those who have loyally and proudly served our nation. Before climbing, we researched Corey’s life. In my research, I learned that he died on March 13 by an explosive device detonated near Ramadi, Iraq. On the day of the hike, we attached a picture of Corey as well as a summary of his life on to our backpacks so we could keep him in mind throughout our day. We also carried the memorial stone the entire way up the mountain. We carried Corey’s rock up Mount Major because we wanted to honor and thank your son for being in the war and defending our country. As we climbed, we participated in group activities. We did this activity where you have a rope and you’re blindfolded and you and your group has to work together and try and make a shape with the rope. At the top of the summit, we got to eat lunch as we looked at the gorgeous view we spent almost about an hour up there. I was proud that I climbed that mountain it almost felt like it was never going to end and I was exhausted but I was proud that I did it. I’ve climbed two mountains in my life now and I think that was probably one of the best experiences I’ve ever had. As I reflect back on this experience, I feel so proud and happy that I hiked and researched about one soldier and carried a rock all the way up a mountain to honor this veteran for risking his life. Before climbing, we researched Corey’s life. In my research, I learned that Corey loves Moxie, Spaghetti Sauce, and his horse Sasha. He loved to hunt, but he never shot anything. He was also deployed in Iraq. On the day of the hike, we attached a picture of Corey as well as a summary of his life on to our backpacks so we could keep him in mind throughout our day. We also carried the memorial stone the entire way up the mountain. We carried Corey’s stone to honor his life. One of my teammates, Johnny, carried the stone first, then I safely carried the stone most of the way down. As we climbed, we participated in group activities. Just like the one where we had to close our eyes and try to make a certain shape with string. At the summit, we saw a beautiful lake. I felt so relieved. We also took a team picture all together all holding a big flag that we made. The flag shape was from our handprints. As I reflect back on this experience, I feel like I will remember this day for the rest of my life, because it was so excellent. I would absolutely hike that mountain again if someone asked me to. Before climbing, we researched Corey’s life. In my research, I learned that Corey loved to hunt, but wouldn’t shoot anything. I found this very interesting because of his job, because of that paragraph in his story I feel his respect for the outdoors, I made sure to keep that in mind when I was hiking. On the day of the hike, we attached a picture of Corey as well as a summary of his life on to our backpacks so we could keep him in mind throughout our day. We also carried the memorial stone the entire way up the mountain. I felt the way he must have felt while he was overseas. The way something can weigh you down, but we do it because it has a purpose that we as an individual feel strongly about, except he was probably more anxious. Plus he did it for our country I did it for him. As we climbed, we participated in group activities. One of the activities was when everyone in a group held a string connected to a little square of wood. We all had to work together to lift a water bottle that was placed on the wood piece. We couldn’t lift it all the way up, but we managed to get it off the ground. At the top of the summit, we transferred our stones, and took pictures. A day before we went hiking up the mountain we all participated in making the American Flag with our hands. At the top of the mountain we all held the flag up for the picture that was being taken. Then we had lunch and started our way down the mountain with the stones in someone new’s care. As I reflect back on this experience, I feel respect and honor for what your son gave up for me and all my friends and family. I feel honor that he gave up his freedom for mine, and for that reason my team summited the mountain with smiles on all of our faces. I want to thank you for letting us share this experience with your son’s stone. I will remember the feeling I felt when I saw the summit. Thank you! Before climbing, we researched Corey’s life. In my research, I learned that he didn’t want to take Drivers Ed, also he was born in Norway, Maine. I learned also that if you went hunting with him, he wouldn’t shoot a deer, and he served in Afghanistan. I’m guessing he was not really a good driver. On the day of the hike, we attached a picture of Corey as well as a summary of his life on to our backpacks so we could keep him in mind throughout our day. We also carried the memorial stone the entire way up the mountain. I was the fourth to hold the stone in my backpack up the mountain, I carried the stone because I wanted to honor your son. I was very heavy and I carried it for about 65 steps. The purpose of the rock was to carry and honor your son up Mt. Major. About 18 people carried your son’s stone up the mountain in his honor. As we climbed, we participated in group activities. My personal favorites were when we had to make shapes with our eyes closed and then we had to do it without talking. We tried to make a square with our eyes closed and not talking, but it ended up as a rectangle. Then we had to carry a water bottle on a wood small platform with strings we had to pull on. At the top of the summit, I saw great views of Lake Winnipesaukee. I felt honored that we carried your son’s rock all the way up Mt. Major. We took a picture when we got to the top with a flag of our handprints to honor your son’s life and we all agree that he was a great man. As I reflect back on this experience, I feel proud of my actions honoring people’s lives by carrying stones up Mt. Major. I feel like that I should thank your son 50 times for risking his life so my and his and everybody else’s country is safe and protected. Before climbing, we researched Corey’s life. In my research, I learned that he was very friendly and caring for others and that he was a very great man. On the day of the hike, we attached a picture of Corey as well as a summary of his life on to our backpacks so we could keep him in mind throughout our day. We also carried the memorial stone the entire way up the mountain. I was the last to carry the stone up the mountain. The reason why we carried the stone is that we thought it would be a great way to honor your son and all the other people that have fallen. As we climbed, we participated in group activities. We did things that were related to team bonding like trying to make a shape with string with our eyes closed and trying to lower a water bottle with strings without it falling over. At the top of the summit, we ate lunch, took pictures and saw the beautiful surroundings around us. As I reflect back on this experience, I feel proud of taking part of this project because I want to be apart of something important like honoring people and for people to know that we care about the people that died trying to make our country safe. Before climbing, we researched Corey’s life. In my research, I learned that Corey died in Ramadi, Iraq. That he was killed on March 13, 2006 from an explosive device. Corey would never shoot a deer. He loved his horse Sasha, and all animals. On the day of the hike, we attached a picture of Corey as well as a summary of his life on to our backpacks so we could keep him in mind throughout our day. We also carried the memorial stone the entire way up the mountain. We carried this stone as a school because some people who have died in wars to serve our country don’t get enough credit for what they did. And we felt like we should help that. As we climbed, we participated in group activities, like: Making songs along the trail about our hike, Working as a team to flip a bottle onto a wooden board that our group was holding onto by strings, we played charades and tried to be an animal that lives in the woods, and we tried to make shapes with a rope with our eyes closed as a group. At the top of the summit, I felt proud that we had got to the summit and I thought, “ Were halfway through the hike.” Also the whole 6 white team made a flag (in the pattern of the American flag) with our handprints, and took a picture with it. We also shared information about Corey with a different group. As I reflect back on this experience, I feel like I honored Corey and how he lost his life for America. And saved many people in America. I am sorry for your loss and I hope I did truly help honor your son for what he did to help save lives. Before climbing, we researched Corey’s life. In my research, I learned that your son is a lover of animals I learned that your son was a member of the U.S. Army and your son fought near Ramadi Iraq. On the day of the hike, we attached a picture of Corey as well as a summary of his life on to our backpacks so we could keep him in mind throughout our day. We also carried the memorial stone the entire way up the mountain. We carried Corey’s stone it was our responsibility. I got to carry the stone first. As we climbed, we participated in group activities. Some of the things we did is we flipped a water bottle on a little platform and it was like some trust exercises. At the top of the summit, I saw a lot of things and it was so cool, my friends and I saw a body of water and there were boats on that body of water, we saw a lot of beautiful birds and when we were eating lunch that bird sat right next to me. I took lots of pictures, I’m so glad that I got to be a part of this whole project. As I reflect back on this experience, I feel that this whole experience was awesome and I would do it again in a heartbeat. It was so cool just to have this experience and to honor such a fantastic man like your son so thank you for giving your rock to the summit project. And I’m so happy I got to honor your son and Thank you for donating your rock to the summit project. Before climbing, we researched Corey’s life. In my research, I learned that Corey was known for mixing cake batter with a drill. And he loved his horse named Sasha. He seemed like a very nice man! On the day of the hike, we attached a picture of Corey as well as a summary of his life on to our backpacks so we could keep him in mind throughout our day. We also carried the memorial stone the entire way up the mountain. My group was one of the few who started with his stone. Alex was the first to carry the stone up the mountain, but I got to carry it up the last/steepest part before we traded the stone of to the next group. Each one of us hugged the stone before we gave it over. The steepest part was when we had to climb up just flat rock facing up, and it was hard with a lot of other people from other schools. It was worth it though because we got to have lunch! As we climbed, we participated in group activities. My dad volunteered as our chaperone. One of our activities we closed our eyes and tried to make a specific shape. We stood on a rock and played animal charades. All of our favorites was when we all held strings and tried to flip a water bottle onto the wooden center. At the top of the summit, the view was AMAZING. It had lots of trees below us and we could see the very steep trail we just took on the way up. We saw the Washington tour boat going by really slow, but it was probably going really fast, but we were really high up. We all felt accomplished happy and very sad for your family’s loss but we felt we had done our part by hiking with the stone. After we all had our lunch we got together with the American flag that we made with our hand prints and got a bunch of photos. As I reflect back on this experience, I feel very proud that we climbed a mountain for a fallen soldier and honored him because he served to protect us. I am a sixth grade student at Marshwood Middle School in Eliot, Maine. On October 11th, my classmates and I honored the late veteran Corey by carrying a memorial stone in his honor as we hiked Mt. Major on a field trip. Before climbing, we researched Corey’s life. In my research, I learned that he was a really nice person and really loved animals, especially his horse named Sasha. He was a very creative person and he was very adventurous. On the day of the hike, we attached a picture of Corey as well as a summary of his life on to our backpacks so we could keep him in mind throughout our day. We also carried the memorial stone the entire way up the mountain. We carried the stone in loving memory of the sergeant who risked their life to defend for our country. As we made our way up, we passed the stone from group to group so we all got a chance to carry the stone. As we climbed, we participated in group activities. I really enjoyed playing fun small games that my teacher made up. My favorite will most likely be when we had to make a song about a trip up Mt. Major and sing it to everyone. It was a little embarrassing, but we had a lot of fun coming up with the song. At the top of the summit, we had lunch with our friends, we took a break to take pictures of the beautiful view with Lake Winnipesaukee, and we hung up our American Flag we made with our hands painted on it. As I reflect back on this experience, I feel like we made a really important part of remember Corey, I I’m glad we did because not only was it fun hiking Mt. Major, but we also kept Corey in our mind the whole way up and back down the mountain. It was an honor and privilege to learn of Sgt. Corey Dan and his family. Words cannot express the gratitude and thanks we owe this Maine Hero. His finest qualities became very apparent. Sgt. Corey Dan was known for his compassion and kindness. I found some reflections of those that served with Sgt. Dan and those thoughts also spoke of his kindness, honor and devotion to those he was stationed with. Sgt. Dan was noted for sharing candy and items he received from home with the children in war torn cities. Sgt. Dan was also remembered for helping a girl in high school who had suffered a concussion with impaired mobility. Reflections of Sgt. Dan all suggest a caring and giving young man. It was these stories I enjoyed sharing on our hike up Blue Hill Mountain and further during the Veterans Memorial Run. Sgt. Corey Dan lived a life of honor, compassion, integrity and happiness. In carrying Sgt. Dans remeberance stone it was these qualities and traits that I tried to remember, living a life with meaning and purpose. In being part of a specialty team, I take great pride and responsibility in knowing what it takes to place your life in someonesles hands and for those you serve with to entrust their life in yours. Sgt. Dan was remembered by those he served with as a brother and a Hero. A humble thank you to Sgt. Dan’s family and friends for their passion, reflection and genuine loss of one of Maine’s finest Hero’s. On the cold and rainy morning of November 20th, 2016 I had the honor, privilege and duty to carry the stone and story of Army Sgt. Corey A. Dan. Our small group of TSP hikers climbed Bradbury Mountain in Durham, Maine and we were delighted to be joined by three U.S. Naval Academy midshipmen from Maine and some of their family members. We began our day with a coffee and welcome in the café of the L.L.Bean flagship store. After about an hour of study hall, intense and uninterrupted learning about the lives of our heroes, we convoyed to Bradbury Mountain State Park and conducted our hike brief. Then we split into two groups, conducted one last check, and embarked in opposite directions into the damp forest covering. I thought of Army Sgt. Corey A. Dan on that cold, wet hike. We were a little uncomfortable, but I dedicated my hike to him. What would he do? How would he lead and share his positive energy in less than optimal condictions? From what I learned about Sgt Dan, he would have enjoyed every minute. He loved animals. He loved people. He looked out for the little guy and ensured his teammates were ok. He was present. He was kind. I tried to be all those things. One hiker on my team had no gloves, so I shared my spare set. I thought of Corey’s sense of duty to his family and his teammates. He showed his sense of humor with harmless tricks, so I recounted a few from my Naval Academy days. Finally, Sgt Corey Dan loved to teach. He returned home on leave to mentor, instruct, guide and coach. I tried to follow that example on November 20th. One day, Sgt Corey Dan will tell me how I did. Thanks for your service and your sacrifice Sgt. Dan. MHANF. My name is Shawn Stewart i’m a sophomore at Nokomis regional high in Newport Maine. I love to hunt and fish and i love the outdoors.i climbed Little Bigelow to show respect to the fallen heros. I also climbed the mountain to show respect for Corey A. Dan. The mountain we climbed was Little Bigelow its 3000 feet. The terrain was rough in places and rocky. Some things i learned about the fallen heros are that they like to hunt and fish and a lot of them loved their families a lot.i was honored to carry the stone of Corey A. Dan up to the summit of Little Bigelow. I had the privilege of meeting the family before the hike; his aunt and his mother, both trusting and willing to share stories with me about Corey. I was feeling a bit nervous the morning of the hike, so honored to be chosen to be on the Gold Team, I wanted to make sure to do my best, for TSP and for Corey. I’ve heard the story of Corey performing in Shakespeare’s Mid-Summer Nights Dream. “Though she be but little, she is fierce” is a line from this play, a line that has been used on me. When the climbing got hot and rough, this is what I remembered. When we reached the top of Katahdin, what a great feeling to take Corey’s stone out of my pack and hold it up high. We had done it! It was particularly hard to give up Corey’s stone at the closing ceremony. I don’t want to forget how smooth and solid it felt. I don’t want to forget the weight of it in my hands. I never met Corey in person, but I miss him. Corey will not be forgotten! I would like to personally thank you for sharing Corey and his life with us and others who take part in this amazing program. Today at Cadillac mountain in Acadia National Park I had the honor of hiking the memorial stone USA SGT Corey Dan. Little did I know that the Sargent and I would have a guest with us! I also at the very last minute voluntarily hiked a second memorial stone for USA SGT Joshua Kirk. What a beautiful day we had for our hike! As we hiked along the steep and rocky trail I jumped back and forth between thoughts of the 2 soldiers and how different they both where, but also all the similarities. I feel after researching them both that if they every met that they would have been good friends. Every time I or someone on my team offered a hand to each other all I thought of was how Corey helped his friends out especially his friend Lisa who suffered the concussion. Corey and I had a lot of things in common from our love of the outdoors, loving our pets, and our fierce loyalty to our friends. As the hike went on the more I thought of the crazy stuff that I did as a youngster and while reading on Corey I would just bust out laughing at some of the things he did, like mixing cake batter with a drill! Hopefully the 2 Sargent’s had a nice hike together. Maybe someday I’ll cross paths with the Dan family and get to hear some more wonderful stories about Corey. I’m so sorry for your loss!!! Corey was truly a wonderful person from all I read and the people I talked to. He will forever carry a special place in my heart! I had the Honor and Privilege to carry the Story of Army SGT Corey Dan to the summit of Cadillac Mountain on October 14, 2017. Like last year, I woke early on this October morning, but not for nervous anticipation, but for responsibility as Leader for Team Blackwood. Our Team had 20 members; however, due to obligation and illness, it reduced to 18. At the TSP tent, set up at Smuggler’s Den Campground, hikers gathered, grabbing fruit, hot coffee and donuts, meeting, greeting, hugging and preparing for the day ahead. I greeted the Team, checking off names, and ensuring they had their assigned Stones. One hiker was missing, and proved unreachable. The Stone she was to carry was SGT Dan. Instinctively, I reached for the stone. I have felt a certain kinship to Corey as he was my first Hero. Every hike I have been on since ANP ’16, his Stone has been on my Team. 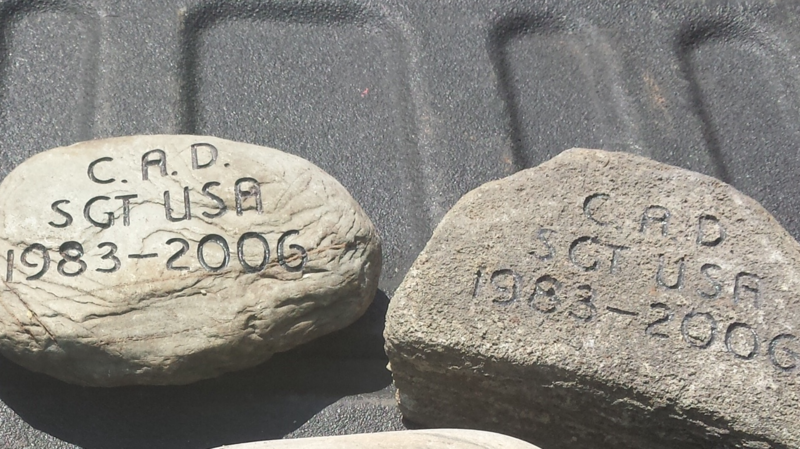 His Stone was also in the Honor Case that came to my home town of Saco this past Summer. A feeling of familiarity and security comes to me when I see his picture or feel the weight of his Stone. My teammate Donny Rafford offered to carry the Stone, and I agreed. Donny is young and fit; and I already had my two assigned Stones in my pack. I would carry Corey’s Story. I was looking forward to the hike itself, with its gentle sloping trail opening to views of the bay and beyond. I also looked forward to spending quiet time with my Heroes, to connect with them and feel the enormity of their sacrifice. I made sure I took in the details of the trail so I could share it now: The beauty and patterns of the lichen and moss contrasting with the bright reds of the low shrubs. The deep stillness that only a Maine forest could provide. The camaraderie of 17 people with the same Mission: to Honor the Maine Fallen and their Gold Star Families. I recalled Corey’s love of the woods and this, his favorite season, and how he would have enjoyed this day and these people. About a mile in, we took the loop to Eagles Crag and were blessed with views that took our breath away of ocean and hills bright with Autumn foliage. We removed the Stones from our packs and placed them against the red leaves of the low shrubs and green needles of junipers, with the view behind. Our Heroes had sacrificed their lives so that we could enjoy this beauty that is Maine. Beyond gratitude. Beyond thankful. We continued our hike, now with the pleasant company of our photographer and her friend. We had brought an American flag, and rigged it to a hiking pole. Team Blackwood’s members proudly took turns carrying the symbol of our country and the lead on the trail. As we increased in elevation, the weather changed. The winds picked up, blowing a dense inland fog across our path. The sight of the flag, blown straight in the wind with the mist around us as we crossed the granite ledges is a vision I will not forget. Nor will I forget the team work shown by the members of Team Blackwood. We hiked as a Team. Never were we out of sight from one another. Those who needed were helped along. It was unlike any other TSP hike I had been on. There was no “alone time” to ponder. We moved like a TEAM. I am so proud to have been on the trail with these wonderful people. I imagine that this is what it must be like to be in the service of our country. Knowing you can depend upon your teammates. We reached the Summit and enjoyed the hospitality of the shivering, but smiling, Girl Scouts, and made our way to the view of Bar Harbor below. The clouds were breaking, but the gusty wind remained. We found a seclude spot and settled in for our Sharing Circle. I began, with Corey’s Story. I read the brief paragraph of the specifics of his military career, and how his life ended courageously in the service of his country. I recalled to my Team that Corey was an inspiration to his classmates, and a mentor to younger people, who also entered the armed forces. That Corey’s comrades, brothers, and leaders give such glowing, heartwarming tributes to his skills and companionship. And that he never met his son, Austin. Stories shared that afternoon in the breaking sunlight on a mountaintop in Maine were eloquent and inspired, tearful and funny. All honest and beautiful. Carrying the Story of Corey is an honor. I regret I could not have been better prepared to share it on the mountain. Please know I remember Corey and you in my petitions every day. That small stone I found on Ferry Beach and carried up Cadillac last October is on my dresser and touched with respect and gratitude every day. Every day. Corey’s story is a part of me. Thank you for keeping your hearts open. My name is Dylan Gray and I am a sophomore at Nokomis Regional High School. On Friday 8 June 2018, 30 people from Nokomis JROTC climbed Tumbledown Mountain in Weld Maine as part of the Summit Project. The climb up was great and it is a well traveled trail. As we were climbing up the mountain, the view started to get better. About halfway up, the trees started to open and the view was amazing. We stopped at Tumbledown pond where we waited for the rest of the group. We were allowed to fish and eat lunch at Tumbledown pond. At that point, we could see the summit of Tumbledown. The weather was perfect, it was sunny and 64 degrees. As we approached the summit, the wind picked up alot. The wind blew off a few peoples hats including mine. We all gathered at the summit, all 30 of us talked briefly about each soldier. We discussed their legacy. I carried the stone of Army SGT Corey A. Dan of Norway Maine. It was a real honor to have the opportunity to carry the stone. I carried stone B. His mother picked stone B from a short trail on the land where Corey grew up that lead to Corey’s final resting place. Corey loved the outdoors. Corey loved animals, especially horses. He owned a horse and her name is Sasha. He spent hours with her. One day Corey and his father Ritchie went hunting. They waited for the perfect shot. Finally, a large buck walked into view. His father was about to take the shot, then Corey said don’t shoot. He stood up, and when he did, the deer got scared and ran away. I believe the Summit Project is an amazing project. I think that because it is a great way to have the fallen heroes legacy being remembered. It was truly an honor to carry the stone of SGT Corey A Dan to keep his legacy alive. The spirit and inspiration of your son accompanied me last month on a hike to the top of Cadillac Mountain. At the summit I told our group about Corey. About his how he held a ‘boot camp’ for his buddies back home, and how he seemed to be a natural leader. I told them about the young lady he befriended, and helped through a difficult period. I told them all the other stories, and how by all accounts he was a fun loving, well liked, genuine good guy with a kind heart, who left us too soon. If he were looking down on us that day, I think he’d be happy to see that we were the Team Leaders of this group of 15 hikers. We spent much of the hike accompanying one young lady at the rear, making sure the summit was reached by all. I didn’t realize the connections at the time, but they became evident as I looked back at that day. As a parent myself, I can only begin to imagine the pain of losing a child. I want to thank you for sharing Corey with The Summit Project, which not only honors Maine’s fallen heroes, it brings a varied group of Gold Star Families, Veterans and civilians together to create a community of healing, understanding and support. Thank you for sharing your son, and allowing his mission to serve and protect to continue.